Worcestershire Murders brings together numerous murderous tales, some which were little known outside the county, and others which made national headlines. Contained within the pages of this book are the stories behind some of the most heinous crimes ever committed in Worcestershire. They include the murders of the entire Gummery family at Berrow in 1780; Catherine Gulliver, killed by John Butler at Ombersley in 1864; and Maria Holmes, slain by her husband at Bromsgrove in 1872. Cases from the twentieth century include two unsolved murders - the body of an unidentified woman found in a tree in Hagley Wood in 1943, and the brutal killing of Florrie Porter at Lickey End in 1944. 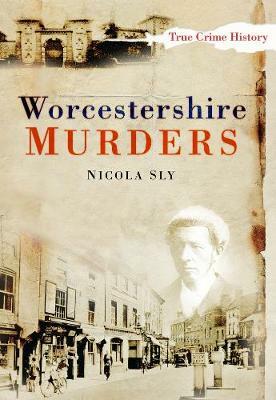 Nicola Sly's carefully researched and enthralling text will appeal to anyone interested in the shady side of Worcestershire's history.